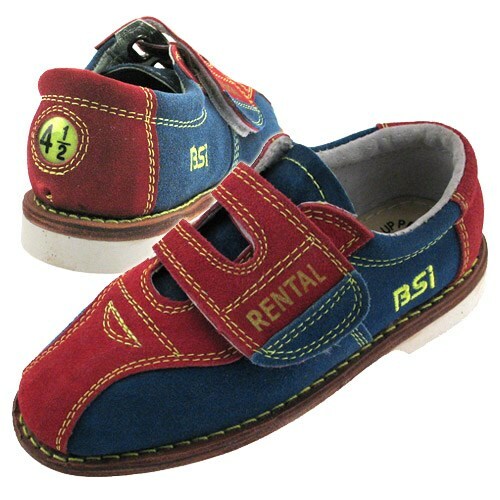 BSI adds a fun feature to their Rental style shoes. Glow stitching! The logo and the size glows in the dark. How fun is that! They also have the traditional leather sole that are very durable. 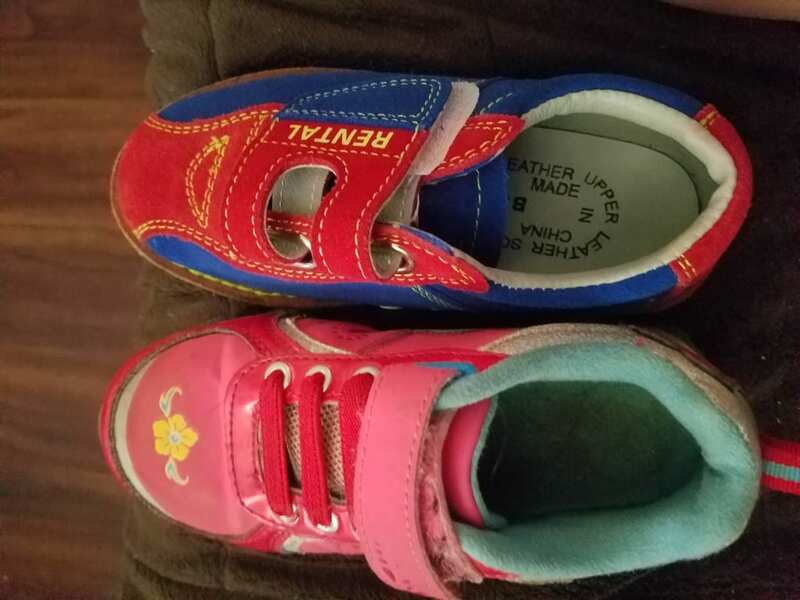 I found the sizing on the boys shoes to be more in line with what you rent at the bowling alley. Buy the size you rent at the bowling alley and you should be ok. Good value! Shoes were bought for my 7 year old who is just starting a league. These were perfect for his "still growing" little feet. It sure beats paying $3.50 a week to rent shoes. 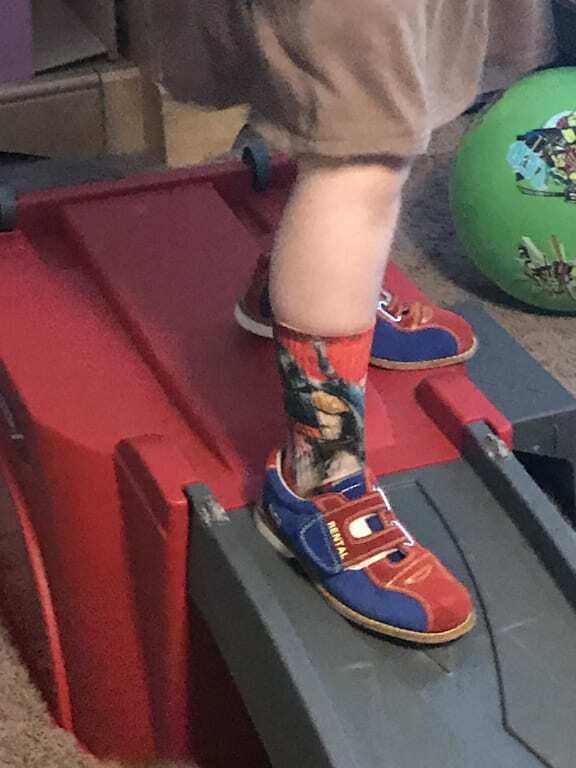 My son enjoys these shoes. He especially like the bright colors. wish for toddler shoes without "RENTAL"
Shoes are fine, but RENTAL is annoying and invites questions I don't care to have to answer. Everything was great. Bought these for my kids for the free bowling program for the summer. Fit is good. My boys enjoy them. I got 2 pairs of these shoes for my girls. I got them a little big so they have room to grow. I opted to go with the Boy sizes because of the size issues associated with the girls version as reported in the reviews. So far so good with these shoes. Love the velcro that the kids never need help with. Not great foot support but for the price great value and meets our needs. We anticipate at least a few years of use with these for the girls, and in the long run....savings in the cost of shoe rentals. I bought these for my sons who bowl occasionally and its perfect for them. Shoes are lightweight and are very easy to take on/off. Bought 3 pairs of these for my young kids to wear this summer, and hopefully for awhile after that. For the price, they seem like a great shoe! We only need to use them 4 times to make up the difference between buying these and renting so they are a good value. I bought the boys shoes instead of girls because of reviews of the sizing. My 4 year old daughter wears a 10 -11 in shoes, and a 11 in these fit great. I also like the soles of these, they aren't as slick as mine, and the velcro is a plus. I can not ever tell you if I've had better pricing, description of product and shipping speed and quality!! I'd give these shoes as many stars as I could. Let alone I received them within 24 hours with free shipping. I'm more angry I only bought my kids shoes I used a different venue. Still waiting. Fit my 75 lbs 9 year old son x 1 year; size 3. Will outgrow long before it will wear out. Ordered a 4 for next year. Ordering made easy. Thank you! These were exactly what they said they would be. No surprises, size seems true to me. My son loves the shoes but hates that they have "Rental" written on them. Do these come in youth size 7 (age 12)? Unfortunately, these will only go up to a size 4.5 youth. Due to the time it takes to produce the BSI Boys Suede Cosmic Rental Shoe ball it will ship in immediately. We cannot ship this ball outside the United States.